BOSTON—According to an eye-opening report released Tuesday, 60 million people whom you would never talk to, would never be in a position to talk to, and wouldn’t even be able to talk to if you tried will be voting for the other candidate in this year’s presidential election, and there is nothing you can do about it. The 110-page document reveals that these strangers share a fundamental vision of our nation’s future, a vision that shockingly runs completely counter to your own and is furthermore embodied by the candidate whom you could not in a million years fathom being the leader of the free world. Even more frightening, the report says, is that their votes count just as much as yours. 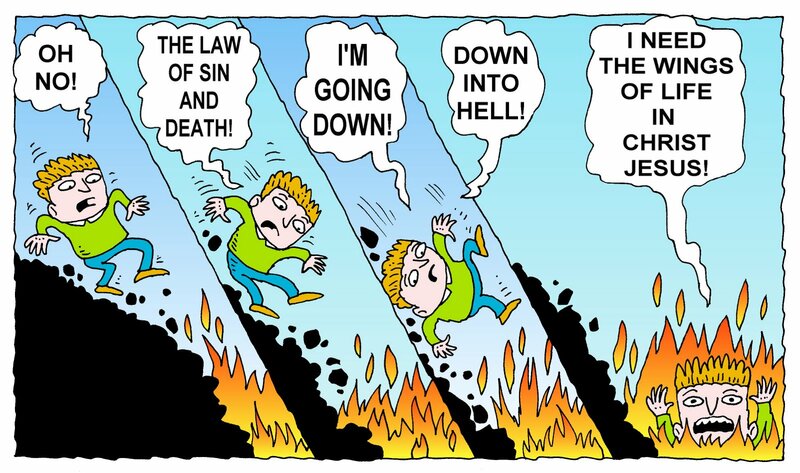 This cartoon, apparently depicts how some religious folks conceive of what they call “morality.” I’ve always wondered, if someone is “good” (i.e. obedient) only because they are afraid of eternal turmoil and torture, are they really good? I mean, would religious people start killing indiscriminately if they found out there was no God? Why the hell would they do that? I pulled this image from a “Christian Identity” website called KIng Identity.